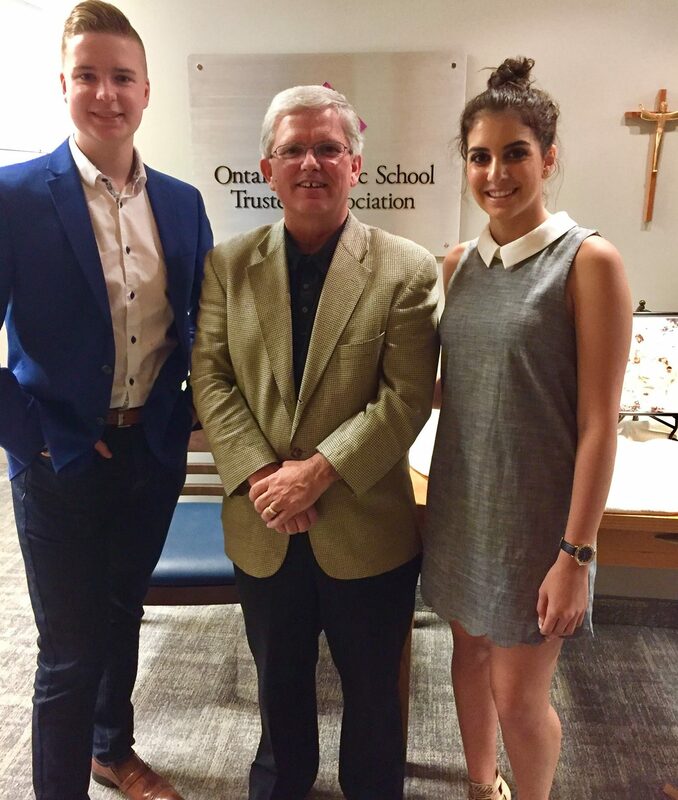 Setting the example as lead ambassadors for the Together in Faith campaign are OCSTA President, Patrick Daly (centre) and student trustee leaders, Ben Smith (OSTA-AECO Catholic Board Council President) and Christina Atrach (OSTA-AECO Catholic Board Council Vice President). 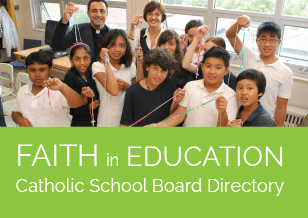 Launched in 2016, the Together in Faith campaign is designed by OCSTA to engage and encourage Ontario’s Catholic community to be more informed and more actively supportive of publicly funded Catholic education in this province. The website – www.togetherinfaith.ca – provides to visitors information about the distinctive faith-based mission of Ontario’s Catholic schools, the Gospel values that infuse every aspect of learning and interaction in the school community, and the outstanding academic and social justice achievements of students and staff in this province’s Catholic schools. 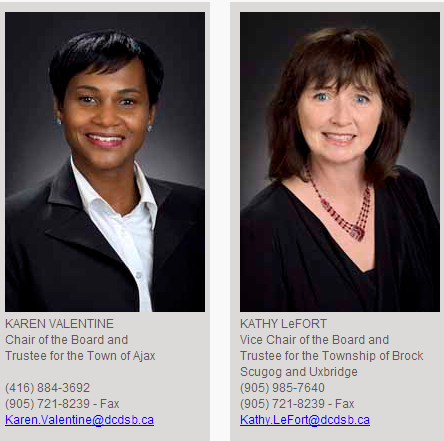 Of course informing the Catholic community about Catholic schools is just one aspect of this campaign, the other key purpose of this campaign is to engage and equip target audiences to take action in their support of the Catholic school system. The Together in Faith social media campaign and website invites audiences to become active supporters of publicly funded Catholic schools and provides campaign subscribers with the tools and messaging needed to promote Catholic education locally and lobby MPPs and the government on the issues that are important to the continued success of publicly funded Catholic schools in Ontario. 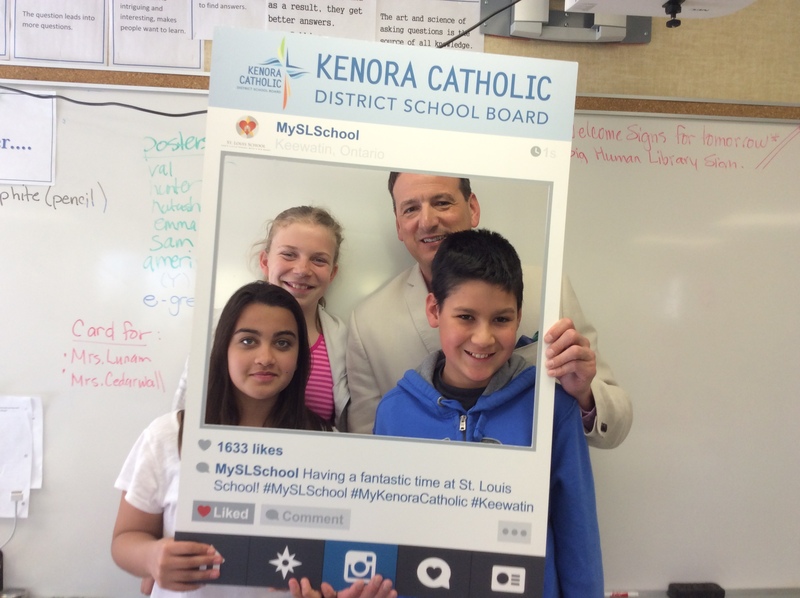 Social media provides a significant platform for this campaign as millions of Ontarians use social media every day. To enhance the Together in Faith campaign presence on social media, several updates are published throughout each day on the most popular platforms that include Twitter and Facebook. Early in 2017, OCSTA’s partners in the FACE initiative (Friends and Advocates for Catholic Education) expressed their support for this positive campaign. 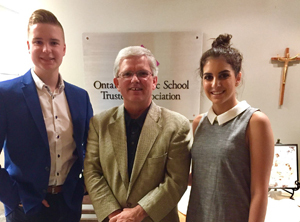 As a result, the Association is pleased to acknowledge that the OCSTA Together in Faith campaign is operated in partnership with the Assembly of Catholic Bishops of Ontario and the Ontario English Catholic Teachers’ Association. With the support of these two essential partners OCSTA’s Together in Faith campaign can receive the momentum and direction needed to reach and engage as many of Ontario’s 3 million Catholics as possible. Achieving this goal will help to ensure the protection of publicly funded Catholic education in Ontario and strengthen the Church’s essential mission of evangelization. Your support is greatly appreciated, thank you.